Now, you have a chance to win your own Sippi Grip. 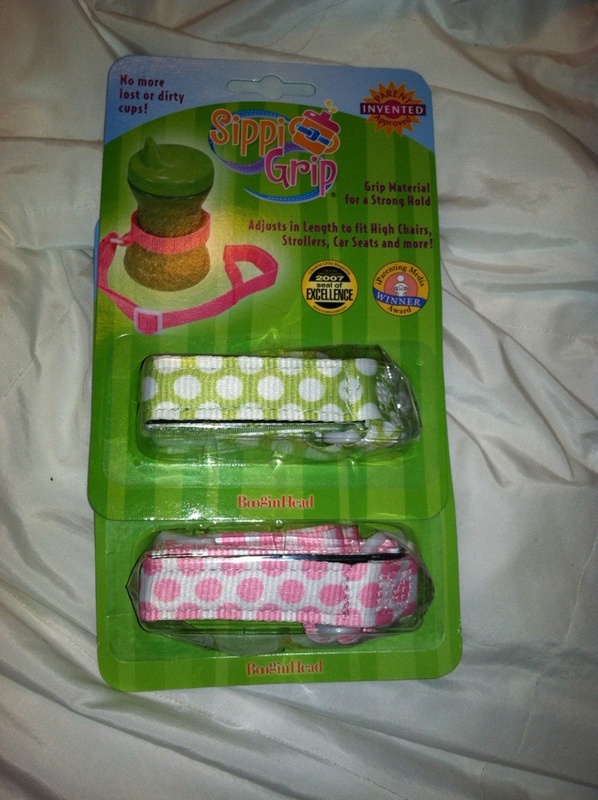 You will win one pink and one green Sippi Grip! I love the Sippi Grip and the Paci Grip in Pink Polka Dot and Purple Plaid! I really like the SippiGrip - Blue/Green Stripe. This is great! My daughter could really use one of these. My favorite product is the splat mat. i love the PaciGrip - Nautical Blue, how i wish i can have some of those. My favorite booginhead product is the paci clips! I have several already! Love the paci grip right now...so many different styles and colors....going to love the new sippy grips too! I like the "volume control" paci. I like the splat mat. I like the sippy grips. Would be very helpful right now for my daughter! I love the PaciGrip - Saucy Stripe Blue! It looks so cute! I would like the Splashmat. I like the Splat Mat in the Brown Flourish pattern. I like the splat mat!! I like the pink paci bed! I love the PaciBed in Delicate Dot Green.